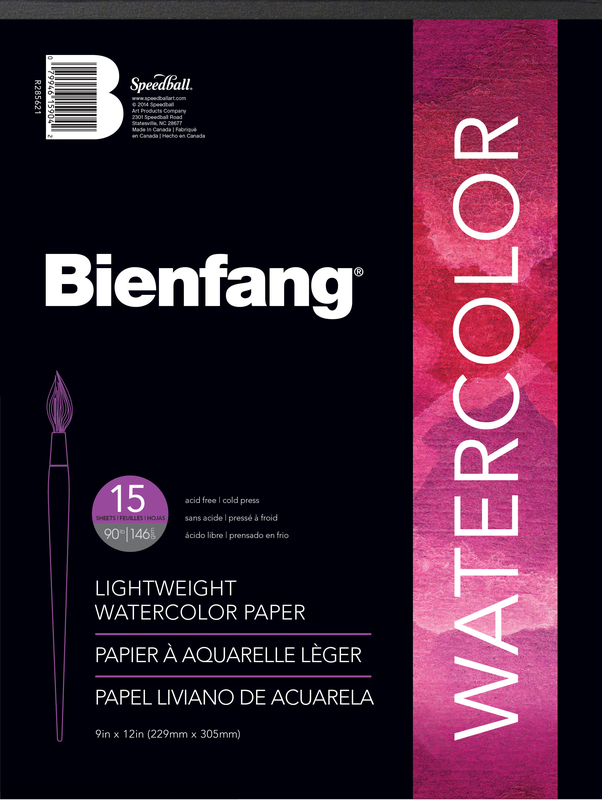 Washes will not bleed on this heavyweight (140lb / 228gsm), acid-free paper. Available in 15-sheet, glue-bound pads in 9”x12”, 11”x15” and 18”x24” sizes, 18”x24” size in 100-sheet package or 22”x30” size in 25-sheet package. 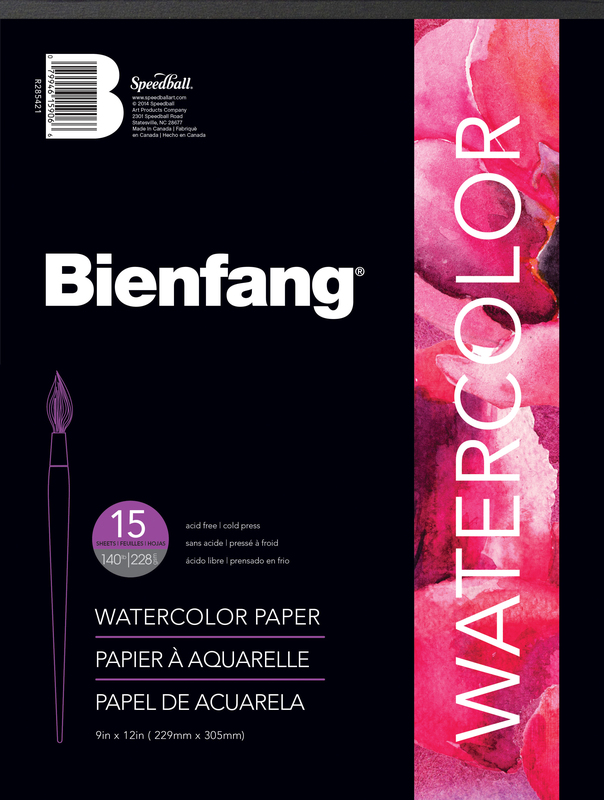 90lb (146gsm) watercolor paper that is ideal for use with any water-based media. Available in 15-sheet, glue-bound pads or 25- and 100-sheet packages. This acid-free paper is offered in 9”x12 and 11”x15” pads or 18”x24” and 22”x30” sheet packages.